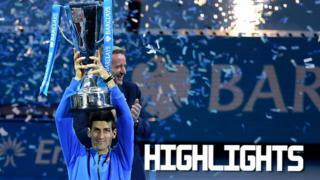 Watch highlights as Novak Djokovic sees off Roger Federer to claim a record fourth straight ATP World Tour Finals title. 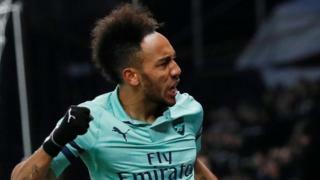 The world number one from Serbia won 6-3 6-4 in 80 minutes at London's O2 Arena. He ends the year with 11 titles including three Grand Slams, taking his total to 10 majors.